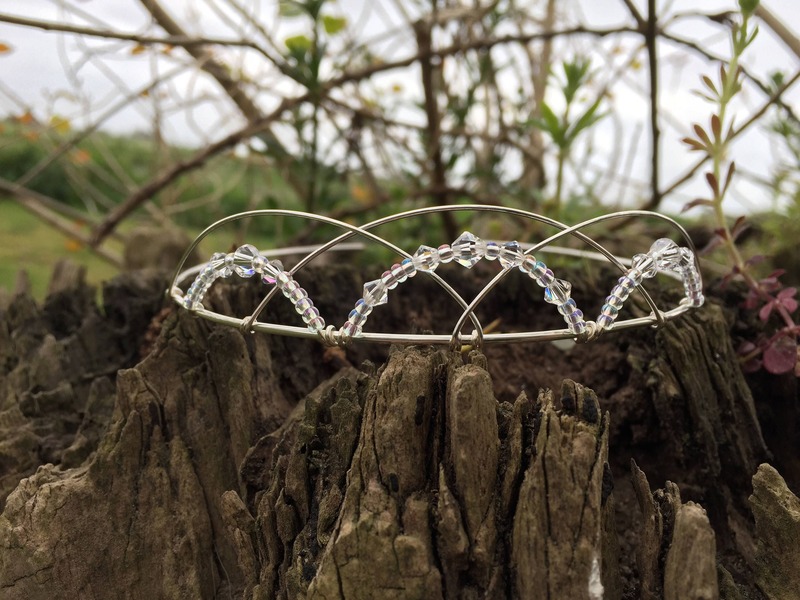 Beautiful handmade silver plated wedding tiara. 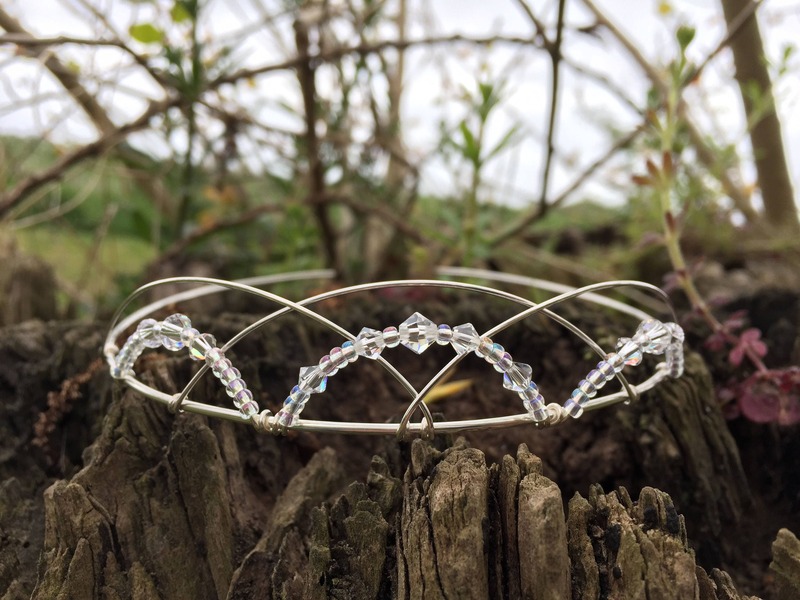 The design emulates traditional Scottish celtic knotwork with beautiful Swarovski crystals and glass bead arches. 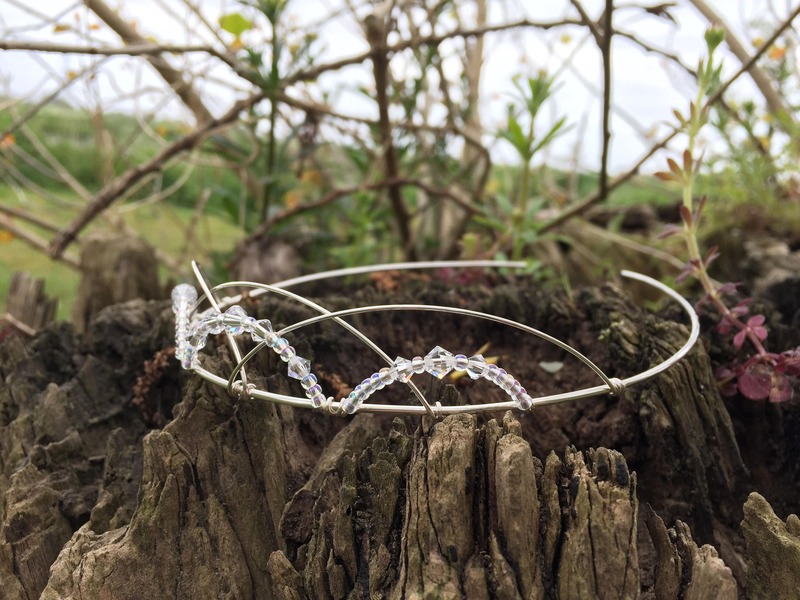 Designed to be worn on as a bridal tiara or headband, the base band is handmade and therefore very comfortable to wear all day and evening. It can be pinned into place for extra security. 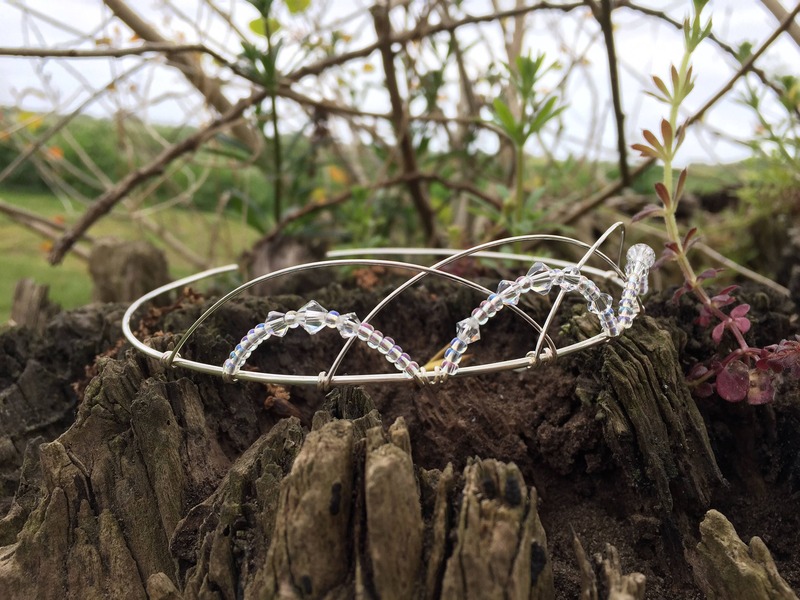 The design element of the tiara measures approx 13.5cms (5 and a quarter inches) across and it is 2cms (3/4 of an inch) high. 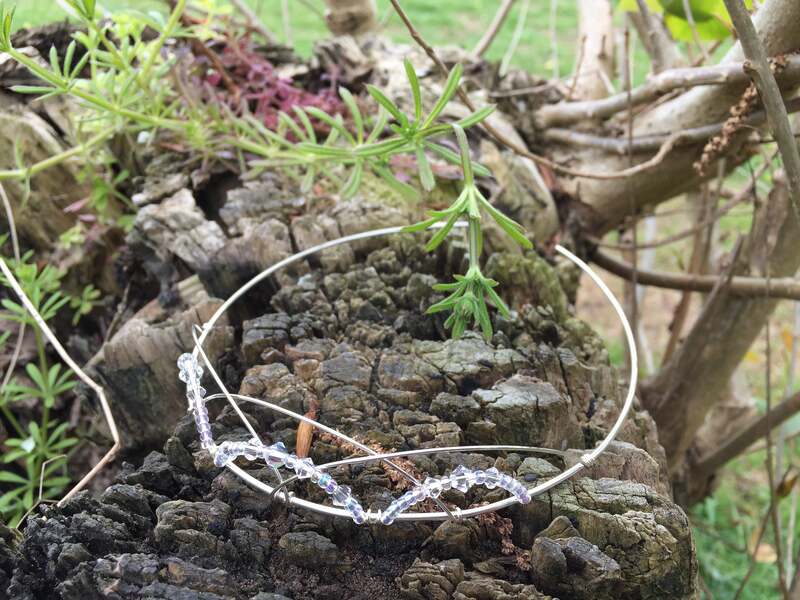 Perfect for traditional brides, bridesmaids, prom, elven, faerie, or pagan ceremonies.